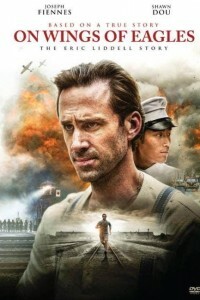 After winning Olympic gold in the 1924 Paris Olympics, Eric Liddell (Joseph Fiennes) has returned to China, where he was born to missionary parents, to teach local schoolchildren. In 1937, the Japanese invade China at the outset of WWII. Liddell and his friend Xu Niu (Shawn Dou), a street-smart resistance fighter, recognize the increasing danger so Liddell sends his wife, Florence (Elizabeth Arends), and their two daughters to safety in Canada. Duty-bound, Liddell stays as minister to the civilian victims. Liddell and other foreign nationals are taken as prisoners and placed in one of the many Japanese internment camps where they are forced to endure for two years. Eric Liddell’s immortal legacy of hope continues to this day as he remains admired as a champion for life.